Canopy Growth Corp (CGC, WEED) set the cannabis sector on fire last week after announcing a $3.8 billion investment from Constellation Brands (STZ), the third largest beer brewer in the US. 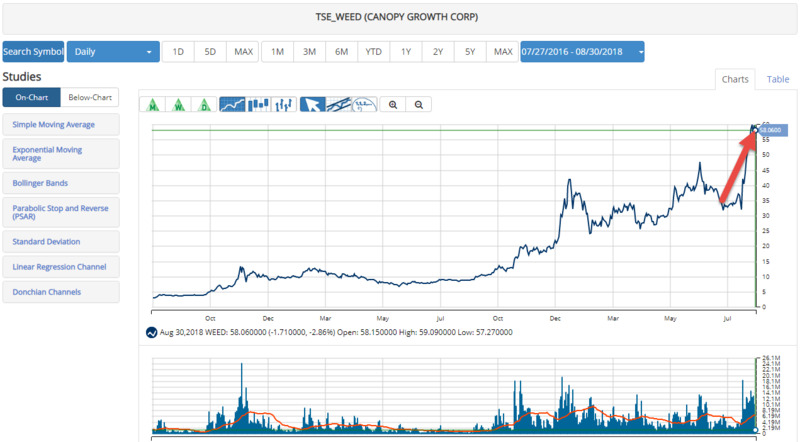 Canopy shares jumped 47% in one day on the news and almost 100% in the following week. This week, I already see this same cycle about to repeat itself. Whispers on the Street are speculating that a second cannabis megadeal is close at hand.